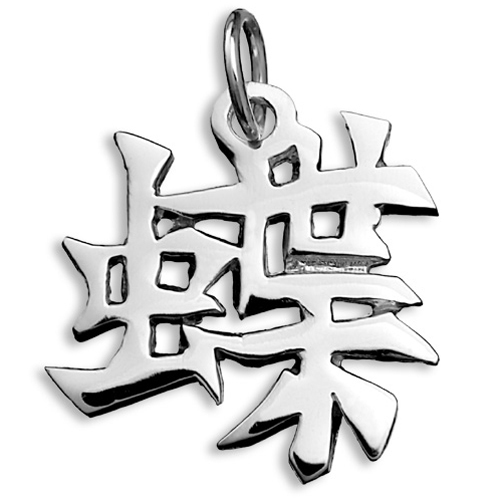 Pendant symbol means "Butterfly". A butterfly is one of several groups of mainly day-flying insects. English translation of the word "Butterfly" is engraved on the back of the pendant. Item is available as a pendant.